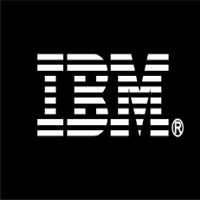 IBM Walk-In Drive For BE,B.Tech Freshers On 12th Jan 2015 – Gurgaon. Freshers Openings in January 2015. Freshers Walk-In Drive in Noida and Gurgaon. BE,B.Tech Freshers Jobs 2015. Diploma Freshers Walk-in Drives 2015. Providing Voice Support to IBM Internal End Users and External *Commercial – Account End Users across North America, EMEA & AP. The job will require you to handle inbound calls regarding technical issues for end users.